The PZL P.24 is the best known Polish built fighter aircraft of the pre-WW2 period. It was the ultimate achievement in Zygmunt Pu³ awskis gull-winged fighter family including prototypes P.1, P.6, P.8, and mass-produced P.7a, P.11a and P.11c. Although it was used by countries such as Turkey, Bulgaria, Romania and Greece, it was never used by Polish Air Force. The armament, speed and other flight characteristics were much better than characteristics of P.11c, which was the main fighter of Polish Air Force in September 1939. This situation was so unbelievable that even in the German aircraft recognition manualFlugzeugerkennungs-Tafeln from 1939, P.24 was listed as a main Polish fighter plane! However, P.24 was only offered for export and was built under license in Turkey and Romania. In 1932 director Weiller of the French company Gnô me-Rhô ne proposed PZL (Polish Aircraft Factory) to equip P.11 with Gnô me-Rhô ne engine and put this aircraft into a contest for a new fighter for Armee de lAir. This project was given to Wsiewo³ od Jakimiuk, who was in charge of P.7/P.11 development after Zygmunt Pu³ awskis death in 1931. The prototype was built using the wings, rear fuselage, horizontal tailplanes, rudder and undercarriage from PZL P.7, which was just being introduced into production. The heavier engine required a longer fuselage (additional 45 cm between the cockpit and wings) and a new engine mount. The cockpit was enclosed, but the prototype had an open cockpit. Two 20 mm cannons were chosen as the new aircrafts armament. Several modifications from P.11 prototypes were also used. Gnô me-Rhô ne supplied a 14-cylinder Gnô me-Rhô ne 14Kds Mistral Major radial engine. The first prototype P.24/I was completed in January 1933 and flown by Captain Boles³ aw Orliñ ski in May 1933. During the first flight the aircraft lost its propeller due to engine vibrations. The pilot landed safely, however, the engine had to be sent back to France for repairs. The tests ended in February 1934 and in March the second prototype P.24/II was flown by captain Orliñ ski. P24/II was initially equipped with a 14Kds Mistral Major engine, which was later replaced by Gnô me-Rhô ne 14 Kfs offering more power (661 kW instead of 515 kW). Also a new three-bladed propeller was installed. The prototype was designated P.24 Super and first flown in June 1934. On 28 June 1934 captain Orliñ ski established a world speed record of 414 km/h (recognised by FAI) for fighter aircrafts with radial engines. Later, during summer, the P.24/II was equipped with two Vickers 7.9 mm machine guns and two Oerlikon FF 20 mm cannons and was shown on International Airshow in Paris in November 1934. At the time it was one of the most advanced fighter aircraft and one of the first to be equipped with cannon. However, P.24 could not be even put into a contest for a new French fighter because of the protests from French aircraft industry. Despite this set-back several other countries displayed interest in a new Polish construction and in 1936 P.24/II was shown to military representatives of Bulgaria, Estonia, Turkey, Greece, Yugoslavia and Romania. P.24A with 2 x 20 mm Oerlikon FF cannons and 2 x 7.9 mm Colt-Browning MG40 machine guns and P.24B with 4 x 7.9 mm Colt-Browning MG40 machine guns. Both versions could carry 4 bombs under the wings (10 kg or 12.5 kg). P.24A - 14 aircraft were bought by Turkey and additional 20 built under license, 2 x 20 mm Oerlikon FF cannons and 2 x 7.9 mm Colt-Browning MG40 machine guns, 4 x 12.5 kg bombs under wings, Gnô me-Rhô ne 14 Kfs engine and three-bladed Letov propeller. P.24B - 12 aircraft ordered by Bulgaria, 4 x 7.9 mm Colt-Browning MG40 machine guns, 4 x 12.5 kg bombs under wings, Gnô me-Rhô ne 14 Kfs engine and three-bladed Letov propeller. P.24E - Romania ordered 6 aircraft of this version from Poland and built 40 under license in IAR Brasov factory. 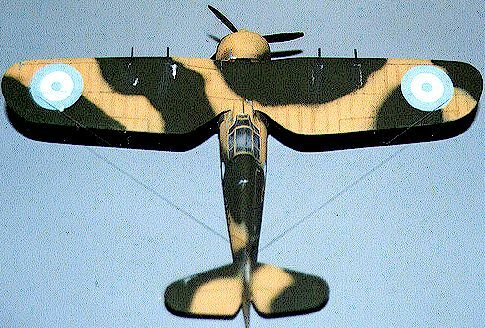 P.24E was equipped with 661 kW Gnô me-Rhô ne 14 KIIc32 engine (built in Romania under licence) and two-bladed Szomañ ski wooden propeller, 4 x 7.9 mm Colt-Browning MG40 machine guns. Later on a new 691 kW IAR 14 KIIIc36 engine was used. P.24F - 30 machines ordered by Greece; 2 x 20 mm Oerlikon FF cannons and 2 x 7.9 mm Colt-Browning MG40 machine guns, 4 x 12.5 kg or 2 x 50 kg bombs under wings, 700 kW Gnô me-Rhô ne 14N-07 engine. P.24G - 6 aircraft ordered by Greece, as P.24F, but with 4 x 7.9 mm Colt-Browning MG40 machine guns. The total of 157 aircraft (including three prototypes) were built in Poland and additional 60 under licence in Romania (40) and Turkey (20). P.24s of Elleniki Vassiliki Aeroporia (Royal Greek Air Force) were an essential part of Greek air defence in 1940. There were 36 in total, but only 24 were airworthy at the time of Italian invasion. Almost all of them were equipped with four machine guns (cannons were dismantled due to difficulties with ammunition supplies). The Greek P.24 were grouped in three Mira Dioxes (fighter squadrons): 21.Mira in Kalambaka (9 P.24s), 22.Mira in Salonica (12 aircrafts) and 23.Mira in Larissa (12 aircrafts). There were also three P.24s of 21.Mira on Janina airfield. The first contact between Greek P.24s and Regia Aeronautica took place on 1 November 1940 over Salonica. Greek pilots scored several victories over Italian aircrafts throughout the campaign, however, they could not stand a chance against Luftwaffe after the German invasion at the beginning of April 1941. The last P.24 of Elleniki Vassiliki Aeroporia flew from Crete to Egypt on 23 April along with six Westland Lysanders of 208 Sqn RAF. One P24 was captured by Italians and was tested in Centro Sperimentale de Volo near Rome. A total of 40 Italian and German (4) aircraft were shot down by P.24s. 35 P.24s were lost in the battle. There are a few model kits of this beautiful little fighter. This one is a vacformed kit made by Polish company Modelland. I bought it years ago, but the recent purchase of an excellent book "PZL P.24" (published by Wydawnictwo "Militaria") triggered a need to have one in my collection. The model comes in a plastic bag containing a styrene sheet with all the parts, one vacformed canopy, small sheet of decals, an A4 instruction sheet and a cardboard sheet with three colour side drawings of 2 aircraft and a brief description of the type in Polish and English on the other side. The instructions consist of an exploded assembly diagram, which shows all the necessary steps and lists parts, which have to be made (gun barrels and strings for undercarriage struts). On the other side there are 1:72 scale drawings and camouflage diagrams. The construction is straightforward starting with a cockpit consisting of a floor, rear bulkhead, instrument panel and a seat. Surface detail of the fuselage halves and wings is marked by little raised "bubbles" and a lot of sanding is required to get rid of them. This has to be done carefully not to destroy the raised details of the wings. I have only built a couple of vacformed models so far, but this one went together like a dream. Everything fitted perfectly!!!! There is a choice of making the model with or without wheel fairings. I went for the second option and also made the wheels slightly weighted. The engine is a simple representation of the real thing. Engine cowling comes in two parts moulded together with the exhaust collectors. I cut off the end of the collector an made a new one from a thin styrene sheet (it is supposed to be an oval shaped pipe). Another addition to the engine assembly were elements of the engine mount visible in front of the engine. I made them from the stretched sprue. I also used the stretched sprue to make a new tail skid. Although the canopy is vacformed it is rather thick and a bit cloudy, but when painted and glued over the cockpit opening it looks OK. There is an option of either F or G version. In order to make F version cannon fairings have to be scratchbuild according to drawings included in the instructions. It is much easier to just make four machine gun barrels from a stretched sprue and make P.24G. The job was finished with antennas made from stretched sprue and painted silver. The are three painting options - two camouflaged and overall silver. The small decal sheet contains national insignia, all the required numbers, PZL logo in black and white and a little red scorpion. Each image is matt and there is plenty of carrier film. However, when applied to the model the decals reacted very well with Aero Set and Sol solutions and there was no silvering. The overall silver machine (black 116) has a rudder painted in national colours (vertical stripes of pale blue and white), but does not have national insignia on the fuselage sides. This option has wheel fairings. The other two options have a camouflage consisting of dark green and sand colours on the upper surfaces and light blue undersurfaces. One is shown as P.24G (white 112) with wheel fairings and the other as P.24F (black 102) without wheel fairings. 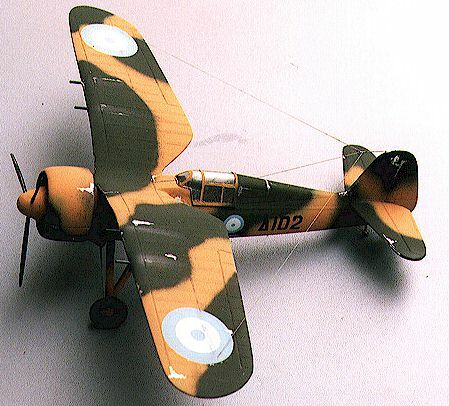 However, all my references show this aircraft as P.24G of 21.Mira flown by Hiposminagos (Lieutenant) Laskaris in 1940/41. I painted my model Humbrol 116 (US dark green) and home brew of sand and light blue. The propeller blades were painted black with silver front surfaces and exhaust pipes were painted in rust colour (red-brown drybrushed with silver). Oil coolers were painted Humbrol polished aluminium. This option has a little red scorpion underneath the canopy. The instructions show that this particular aircraft had national insignia on the wing upper surfaces. However, a colour drawings in "PZL P.24" book show the same aircraft without these markings. I could not get anything from photographs of this particular machine, but all the other P.24s have national insignia on the wing upper surfaces and I decided to include them. Final touches included brown wash on the wings and fuselage, some silver paint chips, exhaust stain and gun smoke. Overal this is a very good vacformed model kit of a very interesting and important aircraft.